Wow things have been busy around here! I'm sure the two people who still read my blog have been DYING to know what is going on in my oh-so-glamorous life. I'm sure you've been holding your breath waiting for a race report on a race I didn't even mention before it happened. But even with a new PR to shout about, life has continued marching on with or without the blog. So instead of a full blown race report, you get this...a bullet point recap of the race and a few of the other highlights from my life as of late. 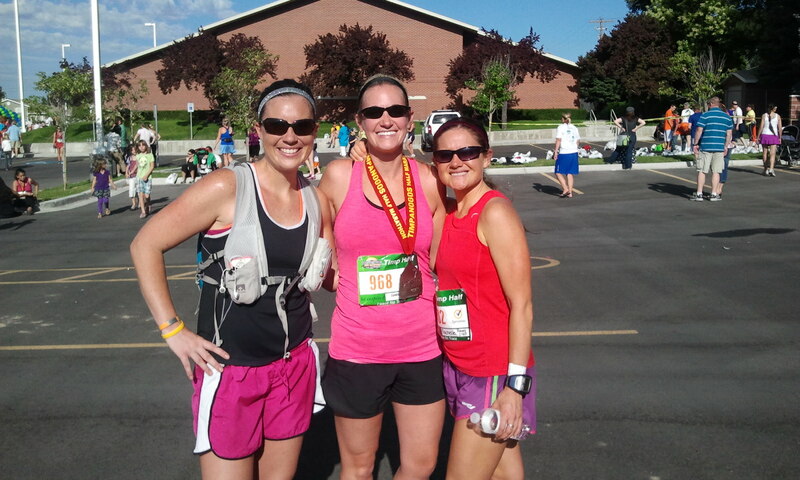 Timpanogos Half Marathon - I went into this hoping for a PR, but I thought it was a long shot. I set a PR there last year with a 1:52:39. I was shocked when I beat that at the Utah Valley Half Marathon this year in June with a 1:50:51. I remember when I wanted to get under 2 hours so bad. So I felt like under 1:50 was just crazy. 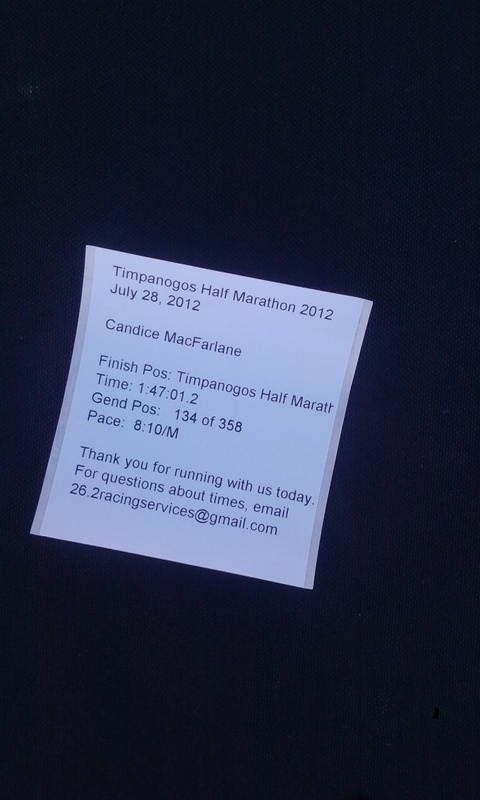 But I crossed the Timp Half in 1:47:01. My watch stopped keeping track of pace and miles when it hit 10.72 miles. So I had no idea how fast I was running the last few miles. I didn't see a mile marker when there was a mile left, so I really had no idea what my final time would be until I saw people turning the corner that led to the finish. I was crazy excited! Getting a congratulatory hug from Rachelle almost made me cry. And then texting Julia to share my excitement just added to the happiness. She showed up a few minutes later because she is so awesome that she planned her long run to finish at the end of our race. 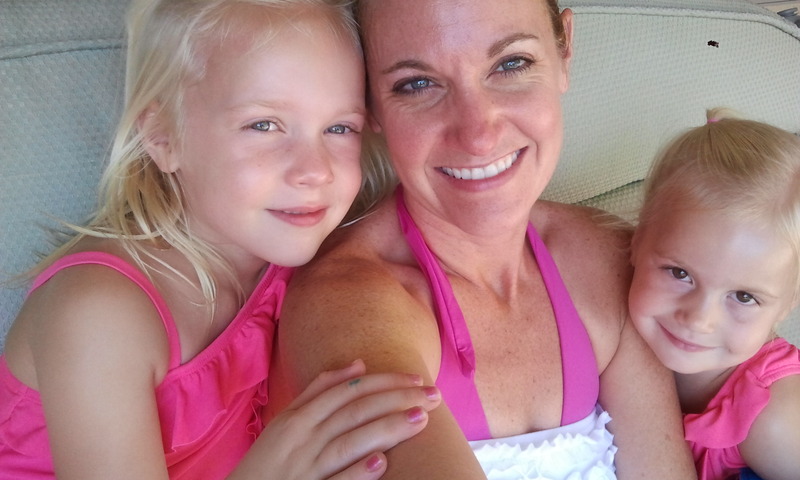 I adore those girls. And I miss Julia terribly!! The week after the race, I headed to Arizona. My parents live there, otherwise I wouldn't even consider being there in July and August. But I survived. 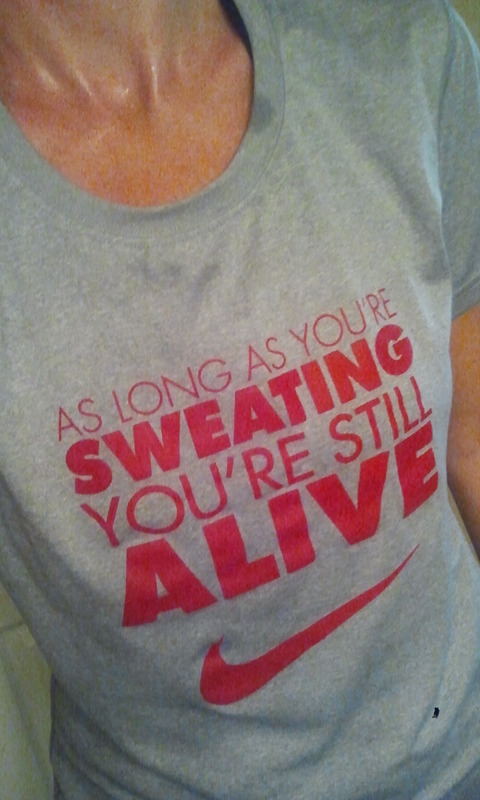 Although my parents keep their treadmill in the garage, I braved the temperatures and ran on it twice. I also ran in the pool once and rode their stationary bike once, which is thankfully in the bliss of their air conditioned house. Other than that, I gave myself a pass because I was on "vacation." Besides the little bit of running I did, my girls and I spent a majority of our time staying cool in the pool. Now that I'm home, I'm back at it. Marathon training doesn't run itself. To get motivated yesterday, I put this shirt on first thing in the morning. It worked. Perfect recap! Good luck training for SGM and I'll watch for you and your progress. Daaaaaang! 1:47 is FAST - Congratulations! Congratulations on the new PR. That's a big bite out of your last one. Congrats! What a great finish time at the half!!! Great finish and what an awesome t-shirt! Congrats on the race PR! And yea, Arizona in the summer is like being on the surface of the sun! I for one have been sitting on the edge of my seat waiting for this report. :) I am so incredibly proud of you Candice. You totally deserved that PR and I will never forget how happy I was to see you sprinting across that finish line looking so incredibly strong. I am actually getting chills just writing about it and remembering that moment. Congrats on the new best time - and SOOOO much faster! Congratulations on a new PR! That is quite speedy! Congrats on the PR - now to update it in your About section! Thinking about the Timp Half makes me miss home!